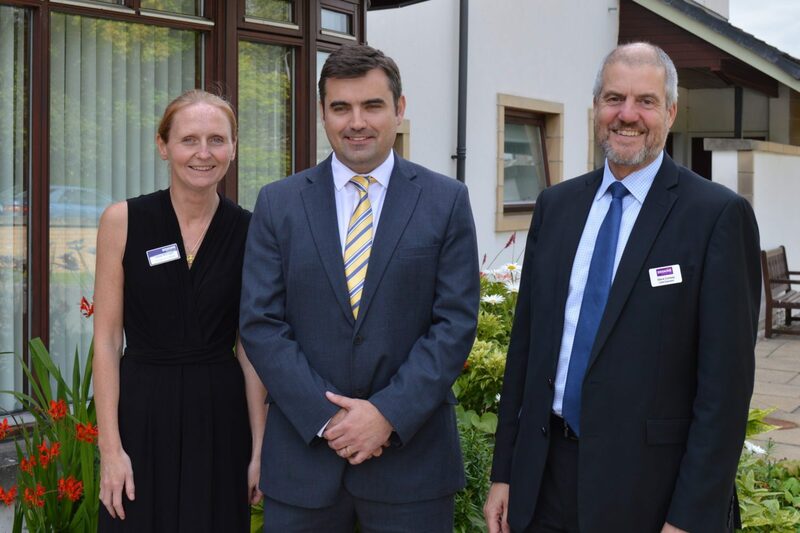 Gavin Newlands, the MP for Paisley and Renfrewshire North, visited Erskine Mains Home in his constituency to see the excellent care that the charity has provided to Scottish veterans for almost 100 years. The local MP was greeted by Lesley-Ann Wylie, the manager of Erskine Mains Home, and Steve Conway, the Chief Executive of Erskine, and was given a tour of the facility and met some of the residents who the charity care for. During his visit, Gavin Newlands MP informed Steve Conway and Lesley-Ann Wylie that Erskine would be one of the first local charities to benefit from the controversial 10 per cent pay-rise that the new MP rejected in June. “I thoroughly enjoyed an informative visit to Erskine Mains Home in my constituency where I was given a tour of the facility and I was able to meet some of our veterans who reside in the home and have received some of the excellent and unwavering care that Erskine has provided for nearly a century. “I am pleased that I had the opportunity to inform Erskine that they would be one of the first local organisations in Renfrewshire to benefit from the outrageous 10 per cent pay increase for MPs that I pledged not to take.